What are design elements and principles? In the game of soccer there are many components. But if players just go out onto the field and simply act out moves; kick, run, pass, throw in, cross the game will be a mess. What we need is a coach to coordinate the players' moves. We need some strategies. We need to know when to attack and when to defend. In this way the individual components of the game can be seen as the design elements and the strategies the design principles. When you Google design elements and principles you will find more than are on this list. There are many more. Likewise, if you do other VCE arts subjects like Art, Studio Arts or Product Design you will find different groups again. All of the elements and principles listed in books and other studies are right and all are valid. However, VCAA have created this group for Visual Communication Design. The identification and discussion of design elements and principles comes naturally in the analysis of communication design but with practise, you will find that they can be applied equally as well to analyses of environmental and industrial design. Students must realise that they may be examined in their application of these concepts within all design fields. 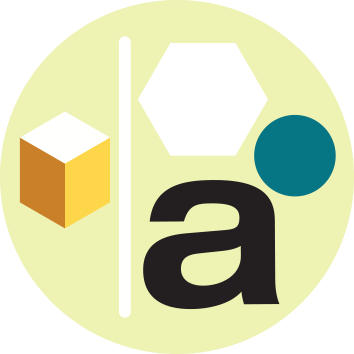 Students may be asked to demonstrate their understanding of design elements and principles by drawing a given shape or letter into a new composition. Other tasks ask students to design a visual communication using a set of criteria including design elements and principles. Students should be mindful that in demonstrating their understanding of design elements and principles in practical examples, they need to emphasise the selected element or principle. As far as possible they should ensure that their selection of element or principle is clearly focussed on that element or principle. For example 'shape' should be shown as a solid figure, without the use of 'line'. In written tasks requiring the analysis of design elements and principles, students should be aware that only elements and principles that clearly suit the example should be chosen for analysis. Time spent on careful selection of the best, most emphasised elements and principles is time spent well. Students then concentrate their discussion solely on the element or principle being analysed. When discussing the role of design elements and principles in design the use of a correct verb is important. Students should note that an element is usually 'used' to 'create' an effect and a principle is often 'created' by the manipulation of an element. For example: Different kinds of shapes (element) have been used to create contrast (principle). Beneath each design element and principle you will find an example of analysis demonstrating how the language shown can be used to identify and describe the aesthetics and function it plays in a visual communication. Design elements are the components of visual communication. Colour is different kinds of light visible to the eye. It is understood using two different models. Additive colour is created by three different lights in screens (RGB) adding together to create white. Subtractive colour is created by three + black (CMYK) inks or paints subtracting reflected light on paper to create black. Colour communicates optically and emotionally. We discuss colour in terms of colours relative to other colours and in terms of how it makes us feel. The groups combinations of colours belong to including; primary, secondary, warm and cool colours, harmonious, complimentary colours. Do not confuse the discussion of 'tone' here. Do not identify colours as light or dark when you mean warm and cool. (They may indeed, be light and dark, but this is a discussion of tone). The function of colour; to decorate, emphasise or categorise. 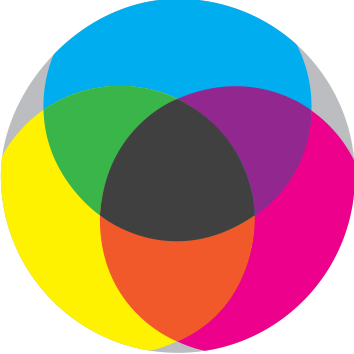 Colours and their cultural or usual connections with human emotions or experiences. (Red = passion, anger, blue = freedom). Relationships between colours that cause optical effects including the way warm colours advance and cool colours recede. Colour creates depth and hierarchy. The overall emotional effect of a colour scheme. Colour has been used to create depth in the portrait. Yellow has been used on the areas of the face closest to the viewer and blues have been used in the background. This enhances the effect of form in the picture. Shape is a two dimensional enclosure. It can be made with lines or with a 'fill'. (Colour, shade or texture). A shape in VCD is usually filled. When asked to produce shape students should fill their shape to demonstrate their understanding of the difference between shape and line. 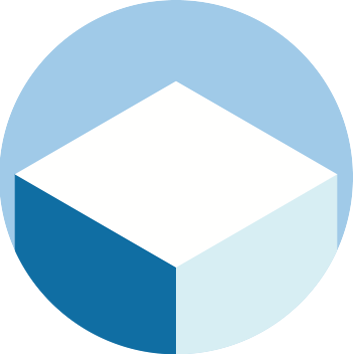 Shape is a common component in logos and type. Shapes communicate optically and emotionally. The name of shape. (Circle, square, abstract). The kind of shape. Shapes exist in two main categories - organic and geometric. Organic = natural, random or flowing. 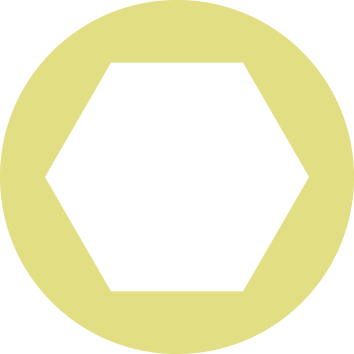 Geometric = 'man made' or mathematical like a square, triangle or circle. The edge of the shape. Is it hard edged or soft and blurred? Organic and biomorphic shapes look like those found in animals and nature. 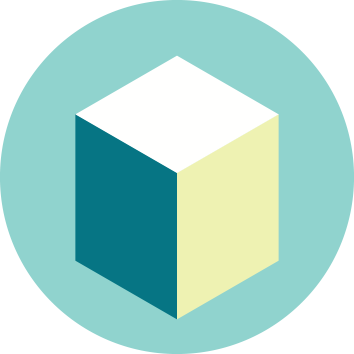 Geometric, rectilinear, sharp, hard edged shapes are often found in industrial design. A simple, rectilinear, geometric shape was chosen for the screen of an iPad. The corners are slightly rounded to lead our eyes move smoothly around the plane. The shape is repeated, at a bigger scale for the frame around the screen. The use of rectangles with rounded corners creates a consistent brand recognition between all of the products in Apple's devices. Line is a continuous mark on a surface. There are many useful adjectives that can be used to describe line. to organise space (visible or hidden grid lines in a webpage). The purpose of the line. Ask what is the line being used to do? The kind of line. Use adjectives to precisely describe the kind of line that has been used. Describe the kind of media that has been used to make the line. The characteristics of the line will vary between those made by computer, pen, pencil, brush, etc. Describe the method of making the line. Does it appear ruled, freehand or made by computer. Both the media and the method used influence the character of line and are used to communicate specific intentions of the designer. Line can be geometric, or organic. Line can be ruled or freehand. Thick or thin. Straight or curved, solid, dotted, dashed, sensitive or flowing. Line can be visible or implied. (As in a grid layout). The use of line can follow conventions for technical drawing (line work for 3rd Angle Orthogonal or Plans and Elevations). The characteristics of the line reflect the purpose of the visual communication. The sketch of the old building was made freehand with a dip-pen. The drawing is made from organic lines of uneven strength and length. This haphazard and random approach to building up the drawing both with the hesitant outlines and grey cross-hatched shadows captured the decaying nature of the old building. Tone is a variation of intensity of colour. Tone is described with adjectives such as light and dark. The discussion of tone can include value, percentage, tint or shade. Tone refers to variation in range in a monochromatic field and can apply to any colour except white. Tone can be used to create or emphasise form with linear or radial gradients. These terms are usually connected with digital artwork. The purpose of the tone. Has it been used to create or emphasise form? When we shade a drawing to make it look three dimensional we are using tone. How tone emphasises the direction and intensity of a light source. The nature of tone. Is the tone used in an image harsh, dramatic, chiaroscuro, soft, gradual, subtle? What is the role of tone in the emphasis or creation of form. What is the relationship between the kind of tone and the media that has been used to create it? How does this relate to the purpose of the image? A gentle, soft tone was used across the picture of the baby sleeping. Although the darker shades of grey were still quite light, there was a consistent variation between the highlights on the baby's forehead and the shadow underneath her chin. This consistent yet gradual shading across the head implied a soft light coming from the window above and to the right of her head. Texture refers to the surface of an object or an image. Texture can be actual or implied. Actual texture can be felt with our hands (checker-plate aluminium, rough oil paint), and implied texture looks like real texture, although it might be printed on gloss paper. Texture can be made from raised or lowered sections of a surface (relief, embossing, etching) or with pen, pencil, or points (cross hatching, dot rendering). The kind of texture - actual or implied. What the purpose of the texture. Is it for function or visual appeal? How the texture has been made - materials, methods and/ or media. The nature of the texture. Is it regular or random. Deep or shallow, rough or smooth. Describe the surface sheen. Is it matte, satin or gloss? Is the texture that of the actual material or has it been created to resemble another. (Woodgrain made on aluminium or plastic). The presence of texture in visual communication is often associated with a more human or friendly feel to an image. Similarly a lack of texture creates a corporate, professional feel. The cardboard beer package was printed with an old fashioned woodgrain texture like what would be seen on an old fence. This made it seem like an old packing case that might have been used to carry bottles in the past. This rustic effect very much suited the character of the strong craft beer. Form is a three dimensional entity. It is often made from shapes, lines or even colours. Form creates space and depth. The discussion of form includes actual form as it relates to objects in each design field, particularly industrial and environmental design. Form can also be created on a two dimensional space as in an illustration or photograph. The kind of form using similar language as 'shape'. (Geometric, biomorphic, abstract). The purpose of the form and/ or the relationships with other design elements. Use adjectives as used for 'shape'. Additional adjectives include; solid, slender, cylindrical, rectangular, conical. The ways forms have been constructed and the materials that may have been used and the reasons for their use. The chair was made from two contrasting kinds of forms. The body of the chair was a beautiful soft biomorphic form reminiscent of a bent jelly bean. The designer contrasted the bulk of this form with four slender legs looking like those found on insects. A plastic sheet material like vinyl was chosen for the surface of the body of the chair as it would stretch to cover the foam that made the form, and a chrome steel was chosen for the legs as it was able to be bent into shape and was strong enough to retain its shape when supporting a person. A point is the smallest mark in a visual communication. 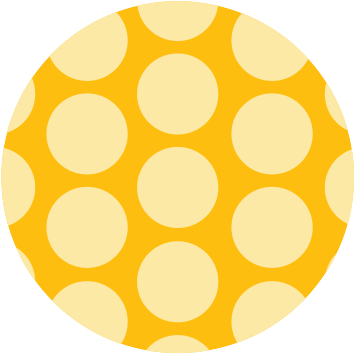 It is usually a dot or circle in shape. Point can be used to create tone or texture in a rendering. Points can be strung together to create line. Point can be used to emphasise information. (Dot points). The purpose of the point. The shape of the point. The visual characteristics of the point (methods or media). The visual characteristics of the point using similar adjectives for shape or line. The placement of the point, the colour of the point. Large red dots are used on the map to show the intersection of train-lines that include a physical interchange for passengers. The size and colour of the point is such that it contrasts with the grey background to maintain clarity. Type is writing in visual communications. It is a special design element in that it communicates through the meaning of words and through the aesthetics of the type forms themselves. Type has a long history and through associations with various uses, methods of manufacture including wood and metal blocks, digital and hand generation and the locations from which type forms come. Type forms themselves are embedded with meaning. Type is classified into certain groups for communication, use and analysis. Type forms can be broken into anatomical parts. The construction of these parts forms the discussion of type forms. Designers who use type (typographers) make many stylistic and functional adjustments to the way the type appears on the visual communication. The whole examination of type rests on our ability to determine how a chosen type form communicates ideas to an audience. One has to identify the precise characteristics of a type form as distinct from another. The classification of type forms. (Serif, Sans serif, display, decorative). The associations these classifications have in relation to the meanings of the words they are forming. (Contemporary, objective, authoritative, judgemental, European, American, retro, futuristic, military, digital, 3d, etc). The position a type resides in a type family is considered. Is it light, roman, bold, heavy or black, condensed, regular or extended? The function and use of the type form. (Headline, subheading, body copy). The method used to form the type. The adjustments that have been made to the arranging of type - known as typesetting. (Case, alignment, colour, size, leading, tracking, kerning, etc). The functional and aesthetic qualities of type forms. Look for the ways type forms and type setting conventions and processes are used to engage audiences. How have shape, colour, weight been used to attract a particular age, gender or cultural group? A knowledge of all of the aspects of type shown here is essential for a detailed analysis of type. They flyer uses a large heading for the name of the film 'The Hurt Locker'. In the upper half of the format are three lines of a modern, bold, sans serif capitalised type in a face like Helvetica Black. The type is force justified bringing the ends of each line to fill the space and is tightly tracked with very tight leading to make it appear as a block. Like an impenetrable wall. The almost solid positive form of the type, set against a black background is ideal for the technique of making it transparent revealing action from the film through the letters. Beneath this super strong title are several rows of reversed out (white) extremely condensed capitals in a light version of the same font. This light type counter balances the weight of the title. Balance in visual communication refers to the arrangement of components on two sides of a seen or implied vertical axis. There are two ways to balance a composition. Symmetrical balance is where the two sides of the composition are exactly the same (or very nearly the same) and they make a mirror image of each other. Symmetrical balance creates a static, stable composition and is suited to informative or instructional visual communications. Asymmetrical balance is where the two sides of a composition are balanced, yet are not mirrored. In order to achieve balance off centre different sized components are given more or less visual weight. Visual weight is increased of decreased by changing on or more of; tone, colour, size or proximity to the central axis. Visual communications employing asymmetrical balance create a more dynamic composition and are suited to purposes where audiences are encouraged to interact with the design. Balance in communication design may also refer to components set either side of the horizontal axis. This will involve the broader study of composition and includes grid layout, random layout, radial balance, spiral balance, triangular composition. Balance in industrial and environmental design will involve the physical balance of a stucture. The kind of balance used in the visual communication. State if it is symmetrical balance or asymmetrical balance. Identify the parts on each side that make up the composition and state how they create the balance you have identified. When describing balance, one is required to explain how the balance has been created. This usually involves discussion of relevant design elements. The kind of balance present in the visual communication is related to its purpose. The analysis explains how the balance, identified and explained contributes to the communication of ideas to that end. The icon for symmetrical balance (at left) uses symmetrical balance. 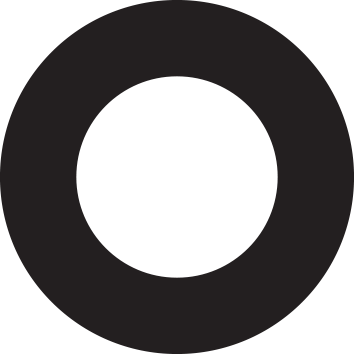 If one was to draw a vertical line down the centre of the circular field one would see that both halves of the 'A' are the same. Therefore, it is a mirrored symmetrical composition. 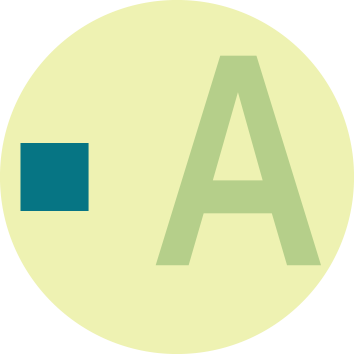 However, the icon for asymmetrical balance (also left) uses asymmetrical balance. The two sides, on a vertical axis are not the same. 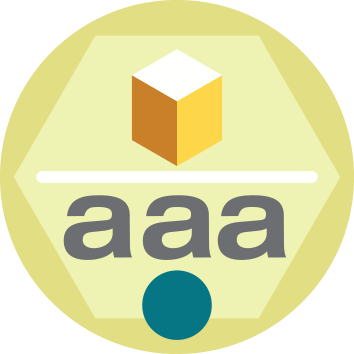 Filling most of the right half is a large 'A' shape coloured in a mid green contrasting sufficiently with the yellow ground to read. This is balanced by a small dark blue square sitting to the far left of the composition. 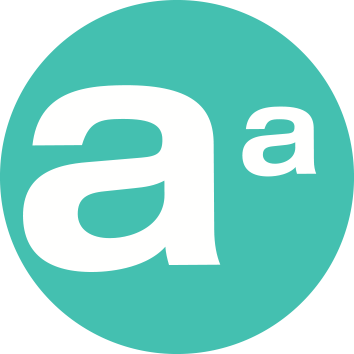 Although the square is much smaller than the letter, it has an increased visual weight through it being both further from the centre and in a much darker tone than the 'A'. Contrast refers to a difference between two or more components of a visual communication. A contrast may be created by the variation of any aesthetic qualities or components including; shape, colour, tone, texture, line, type, scale or proportion. In partnership with other design elements and/ or principles contrast is used to create emphasis, a focal point, visual tension and can assist with building hierarchy in a design. The aesthetic qualities or components that are being used to create a contrast. State clearly if colour, shape, texture, etc. are being used to create the contrast. Contrast is described by adjectives such as strong or subtle. Describe how much of a contrast has been created, then explain how it is created making reference to design elements or principles and/ or other aesthetic qualities. The kind of contrast present in the visual communication is related to its purpose. The analysis explains how the contrast, identified and explained contributes to the communication of ideas to that end. In a promotional poster for a beach festival, large, ballon shaped type forms reading 'Summer Beach Festival' were coloured in bright primary colours reminiscent of those found on a beach ball. 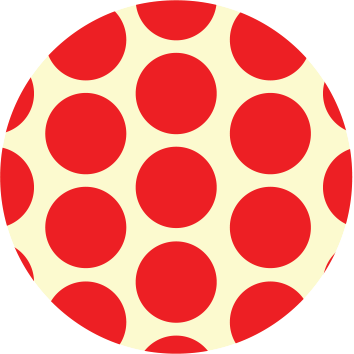 Both the colours and the rounded shapes in the title contrast strongly with a black and white checkered squares background. This contrast made the title appear to come forward and engage the target audience. Figure-ground refers to the relationship between a figure (shape, object, type) and its background. Although sharing most characteristics of the concepts 'positive and negative shape' or 'form and counter form', figure-ground in visual communication emphasises the role of 'ground' beyond simply a void in a composition. Figure-ground is instrumental in providing legibility in visual communication. However, designers may choose to emphasise figures by creating a strong contrasts in colour, texture etc., or to hide them in opposite ways. The strength of figure-ground used is related to the purpose of a visual communication. Logos will often employ a strong-ground relationship. The aesthetic qualities or components that are being used to create the figure-ground. State clearly if colour, shape, texture, etc. are being used to create the figure-ground relationship. The strength of the figure-ground relationship. State clearly if it is a strong (contrasting) or weak (subtle or camouflaged) relationship. Describe the extent to which the figure-ground relationship contributes to hierarchy in reference to the purpose of the visual communication. A black and white bird in a wildlife preservation logo contrasted strongly with its soft grey circular background giving it a strong figure-ground relationship. The bird, constructed of triangular shaped facets appeared to stand off the background which was feathered at its edge. This strong relationship emphasises the subject of the logo, the bird. Cropping refers to the cutting of a component in a visual communication. This may be achieved through framing or masking. The use of cropping is seen to make a vibrant statement as it both enables the use of oversize figures and makes them seem like they extend beyond the edge of the frame and into imaginary space. Cropping is a technique related to 'open' composition (as opposed to 'closed' where figures such as a portrait were once painted so as to reveal a whole figure surrounded evenly by a ground). The figure, the ground and the frame or format of the image. Discuss the extent to which a figure has been trimmed by a frame of a format and evaluate the role of cropping in the purpose of the visual communication. Ask yourself why has cropping been used? 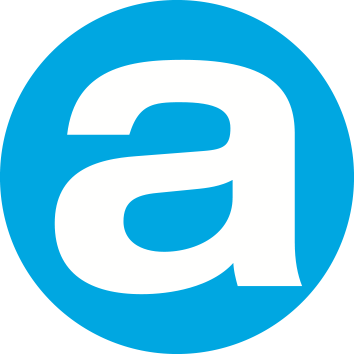 A bold lowercase letter 'a' has been offset and tightly cropped in the icon (at left). This was done to emphasise the interesting abstract shapes and counter forms of 'Helvetica' and to give more space to the orange ground, as it intertwines back into the figure. This makes the whole design appear as one rather than allowing the viewer to interpret it simply as a letter. Hierarchy is a key design principle in communication design and refers to the order in which components are seen (read). Hierarchy is created by the use of design elements and/ or principles including scale, colour, shape, and other factors such as position. Objects nearer the center of top of a composition command more attention. The the components that create hierarchy in a visual communication. Identify a minimum of three steps in the reading order. How components including design elements and principles have been used to create hierarchy. Identify three steps in the reading order then explain how the reader might first be drawn to the visual communication then work their way through it, reading information in a predetermined order of diminishing importance. Explain how each component functions in relation to others. 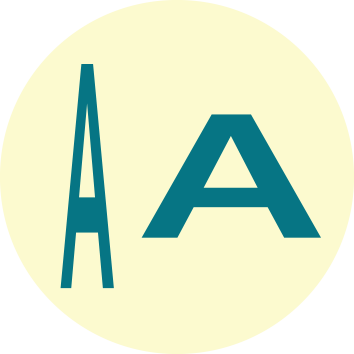 An effective hierarchy has been created in the icon (at left). A strong red band is first to be seen as it is a warm colour, which contrasts against both the grey in the rest of the design and with the green of the page. It is also positioned near the top of the design which gives it prominence. 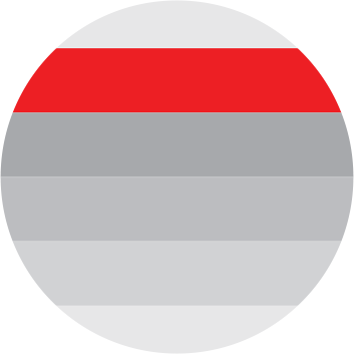 Next in the order of hierarchy is the deep grey band beneath the red as it is the strongest in tone compared to the others. Subsequently the viewer's eye travels down the composition as the grey bands reduce in size and lighten in tone making them seem less important. Scale refers to the relative sizes of similar or same objects in visual communications. They may be type forms, shapes or images. Scale in communication design is an effective component in the creation of hierarchy. Larger things draw attention. Scale also helps to create depth (the appearance of three dimensional space). In industrial and environmental design scale plays a role in components where they are designed as a certain size relative to other parts of structures or to the size of a human. The relative sizes of components. Say which parts are biggest and smallest. Relate this understanding to discussion of hierarchy, depth and/ or balance. Describe the effect of having components of different sizes. One may also choose to discuss the scale of a component relative to the size of the format itself. When designers are asked to apply one design to a variety of formats (poster, ticket, website, banner) they often have to change the scale of the components. There were several stylised drawings of trees on the cover of a booklet. Each tree was drawn with a similar shape but scaled differently. This created an effect of depth on the cover. The large trees seemed to come forward and the smaller ones recede. The title of the book was written in the bark on the largest and most central tree. Scale assisted in creating an effective hierarchy. Proportion refers to the ratio of the dimensions of a component. Two components may be similar in shape, however the length and height of each are different. They are said to be of different proportions. One needs to be careful not to confuse proportion with scale. Proportion is not overall size, it refers to the ratio of height, width and/ or depth to each other. A similar design will have to be adjusted to suit each of the above formats as they have different proportions. Proportion may also refer to how much of a kind of content. Think about the proportion of image to text on this page compared with the proportions of image to text on my artwork page. Very different. The relative height, width, length, depth of two or more components of a visual communication. Identify the format used in the visual communication. Compare it with others if required. Proportions of components referring to their heights, widths, etc. relative to each other. You may use adjectives such as tall, thin, squat, wide, condensed, extended. How the size, quantity of the components of a visual communication have been modified to suit formats of different proportions. The proportion of types of content to each other. This may relate to the discussion of balance and hierarchy. 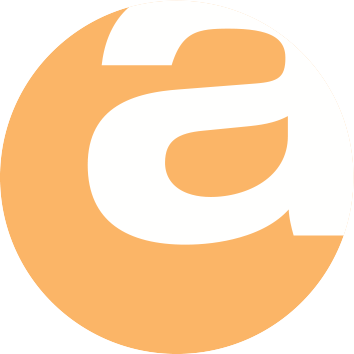 In the icon (at left) there are two capital 'A's. They are from the same type face. 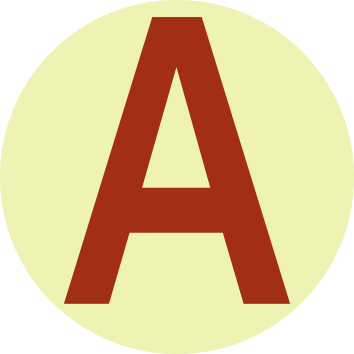 However, the proportions have been adjusted so that the left 'A' is tall and thin and the right, short and fat. The two characters are of different proportions. The term pattern refers to the repetition of one or more visual unit (shape, image, etc). In our study there are two kinds of pattern. Repetition,where the same kind of visual unit repeats and alternation, where different units repeat in a rhythm. Pattern can create shade, texture or decorate. Patterns usually have historical and cultural origins and are a fantastic way to embed intercultural understanding into our course. Pattern making has been a meaningful and cathartic human undertaking for centuries. If the pattern in repetition or alternation. The kinds of visual components that make up the pattern using design elements and/ or principles. The rhythm and/or density of the pattern units to the ground. The historical, national, cultural heratige of the pattern if any. The purpose, use or function of a pattern. 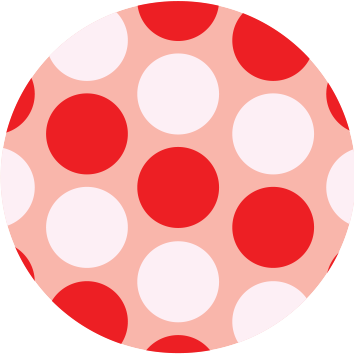 The exact make up of the pattern using design elements and/ or principles. The kind of rhythm the pattern is producing. The overall aesthetic effect of the pattern. 'Tartan' cloth is a pattern made from woven thread. It is an alternating pattern formed by parallel horizontal and perpendicular lines of light and dark coloured thread that seem to overlap and create layers above and below each other. In addition other parallel lines with a much wider rhythm create squares of the base colour which form a kind of background. Tartan has a rich history as families from different regions in Scotland were known by their unique tartan design.